How much money is there in the so-called «Vatican bank», the Institute for Religious Works (IOR) and how is it invested and used? Soon, this information will be in the public domain. The IOR will have an internet website, where its annual balance sheet will be posted. Although the IOR is a main institution within the Church, there is not a consolidated balance sheet. Paolo Cipriani, general director of the IOR, underlined to journalists in a meeting on June 28 that «plainly, the IOR balance sheet can be described as a dividend.» A dividend completely at the Pope’s disposal, who applies it to works of religion, as the very name of the Institute indicates. The announcement of the publication of the balance sheet is the first important decision taken by Ernst von Freyberg, the new president of the IOR Council of Superintendence. Von Freyberg took over on February 18, after a nine-month search for a successor to Ettore Gotti Tedeschi as president of the IOR’s Council, a.k.a. «board of laymen». Von Freyberg has worked with the IOR employees on putting together a balance sheet during these first three months of his presidency. In this period, there has been a change in Popes. However, the Vatican’s agenda on financial issues is still that inaugurated under Benedict XVI’s pontificate. It is a «transparency program» which addresses all Vatican finances, which have been – rightly or wrongly – pervaded by a myth of opacity and lack of international cooperation. 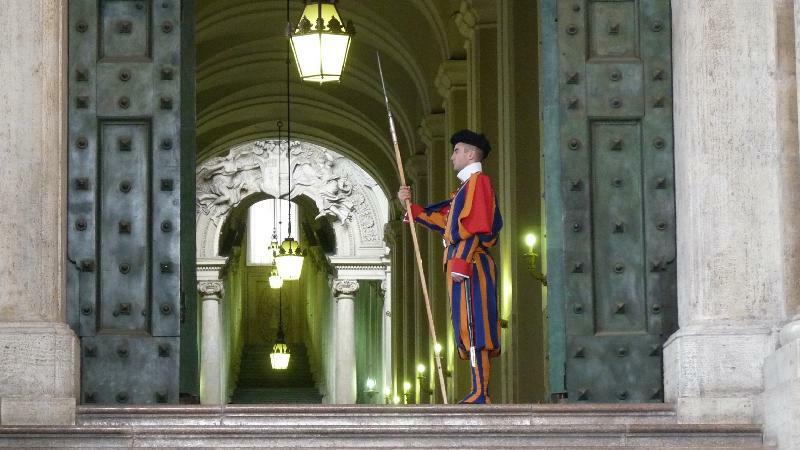 In the Vatican corridors, this myth is called «a misperception». Vatican officials also state that little credit is given to the Vatican for its actions to bring up to international standards the Vatican’s financial system. Part of this path toward financial transparency was publicly explained by Paolo Cipriani, the IOR’s general manager. In June of last year, featuring an «open doors policy», he met at the Torrione Nicolò V (the IOR headquarters) with ambassadors accredited to the Holy See and a group of journalists. The aim was to correct any possible misperception regarding the Institute’s work. The meeting took place at a difficult time, on the heels of the IOR’s board of layman adopting a no confidence motion on its president, Ettore Gotti Tedeschi. Several weeks after, the plenary assembly of MONEYVAL (the Council of Europe committee that evaluates the financial transparency of its member States) was scheduled to evaluate the Holy See’s adherence to anti money laundering international standards. The debate was particularly polarized around the Vatican anti-money laundering law, which the Holy See substantially and vigorously amended following the first on site visit of MONEYVAL evaluators. 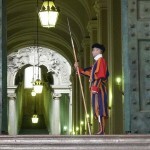 The Vatican adopted a new law on January 25, 2012. Notwithstanding that the revision of the law had been controversial within the Vatican itself, the MONEYVAL report issued on July, 2012 praised the revision. MONEYVAL noted that the new law «introduced a significant number of necessary and welcome changes.» The same report emphasized that «further important issues still need addressing in order to demonstrate that a fully effective regime has been instituted in practice. » Overall, MONEYVAL evaluators gave high marks to several IOR procedures. Browsing the Report’s Executive Summary, one finds out that the IOR security standards surpass those required by Vatican law (Executive Summary, 39); and that the Vatican legislation on secrecy is considered overall compliant with international standards (paragraph 50). The report also praised the high level of Vatican engagement in international cooperation. The report also left several issues open. For the past twelve months, the Holy See has been working on a general reform of its financial management and control procedures. The reform is also broader than required by international standards. This is evident in a preview of a Holy See report to MONEYVAL, which volunteers a lot of information about the Vatican’s progress on the implementation of a wide range of anti money laundering recommendations. The Holy See/Vatican City State progress report will be presented in December. By then, a general reform of Vatican finances should have come into effect. Probably, this reform will start in June. The IOR’ publishing of its balance sheet is thus a part of the Holy See’s long term commitment to transparency. Already, since 1990, an international and independent auditing company (Deloitte in recent years) certifies the Institute’s balance sheet. It is then approved by the Council of Superintendence. The board of laymen must present the balance sheet to the IOR Oversight Cardinals’ Commission by April 30. The cardinals present the balance sheet to the Pope, who then decides, within thirty days, how to allocate the dividend to religious works. Some data: the IOR has more than 6 billion euro in assets, 33 thousand individual accounts and 25 thousand group-accounts (that is, aggregates of all the accounts of a single religious congregation); 60-65 percent of the IOR’s financial activities are in euros and the rest in dollars; and 5 per cent of the funds are invested in highly-rated investments, which are very secure but do not yield high profits. In the mean time, the Vatican Authority for Financial Information (AIF) continues to follow a path towards full adherence to international standards. On May 7, it signed a Memorandum of Understanding with its U.S. counterpart, FinCEN (Financial Crimes Enforcement Network). It is the fourth Memorandum of Understanding (MOU) signed by the AIF with fellow Financial Information Units (FIUs). The other MOUs are with the FIUs of Belgium, Spain, and Slovenia. The news of the memorandum signed with FinCEN is particularly important, considering that in March of 2012, the U.S. Department of State had ranked the Vatican as a “not reliable” State regarding financial transparency. Next step will be the presentation of the Annual Report of the Authority for Financial Information. René Bruelhart, AIF director, will perhaps do so within this week (on Wednesday).